Alan Parsons discusses his Abbey Road lecture series at MusicRadar! In advance of his lecture series at Abbey Road Studio, Alan Parsons author of, Alan Parsons’ Art & Science of Sound Recording, sat down with Tim Cant of MusicRadar. Alan talked about his book (and the DVD set of the same name) and why he avoids using compression. Let’s get straight down to brass tacks. Tell us about your favourite desks! Was there anything you particularly liked about that desk? Have you used the Universal Audio plugins? What about their range of compressors? Read the rest of the interview over at MusicRadar! Audiofanzine: Great book. It’s really comprehensive, but doesn’t go into ridiculous detail. Were you trying to make a desktop reference for recording musicians? Basically, both the DVD series and the book were really intended to have a wide audience, not only existing engineers, budding engineers, but basically just laymen who had an interest in recording, because the recording studio has an air of mystery to most people. Everybody loves music, but very few people actually know how people achieve recording. It’s just an attempt to lift the lid on that, and at the same time get the views of other artists and engineers. Audiofanzine: It’s cool that you included quotes in the book from a number of other well-known engineers, producers and musicians. An example is this one you got from Jack Joseph Puig about click tracks: “A real experienced musician understands the click track is his friend, and he knows how to play around it, and he knows how to play ball with it. The inexperienced musician hears a click track and goes, ‘Oh my gosh. That’s Hitler, and if I make a mistake I’ll be shot in the head,’ and so they’re focused just on making sure that they’re nailing the click, nailing the click, which means the creative part of the brain is turned off.” Great quote. I always find a click to be helpful, but I’ve run into a lot of musicians who feel uncomfortable tracking to one. Do you prefer playing to a click? I generally feel more comfortable with a click. I don’t think the music necessarily suffers. Audiofanzine: Do you think it hinders the push and pull of the tempo that happens naturally? You’ve got a point there. If I feel that is happening, then I’ll take the click away. It’s often so useful later for sequencing and referring to bar numbers and all that kind of stuff. Audiofanzine: You offer a good tip in the book, to use a drum loop instead of a click, because it might be more comfortable to work with for a lot of people, since click sounds are often harsh. I find the cowbell is always a nice click sound, rather than something that sounds like a click. It just feels more real that maybe somebody was actually playing it, than a click. Audiofanzine: How did you decide what to include and what not to include in the book. You could have written it five times as long, if you wanted to. It was designed to be a companion to the video series, so we didn’t want to deviate too far from the content of the DVD, perhaps because of the fear that one product might be considered as a superior product to the other. Audiofanzine: How is the video version available? It’s available as a complete series. It’s a physical 3-DVD set. You can also download the whole thing. You can download individual chapters. There’s another way of doing it where you get it on a USB stick, which currently is limited to educational licenses, but we’re contemplating putting that as being available to the public as well. It’s on an 8GB stick. It becomes a lot more interactive that way. You can jump to a particular subject and find all the references to a particular subject that you’re interested in. 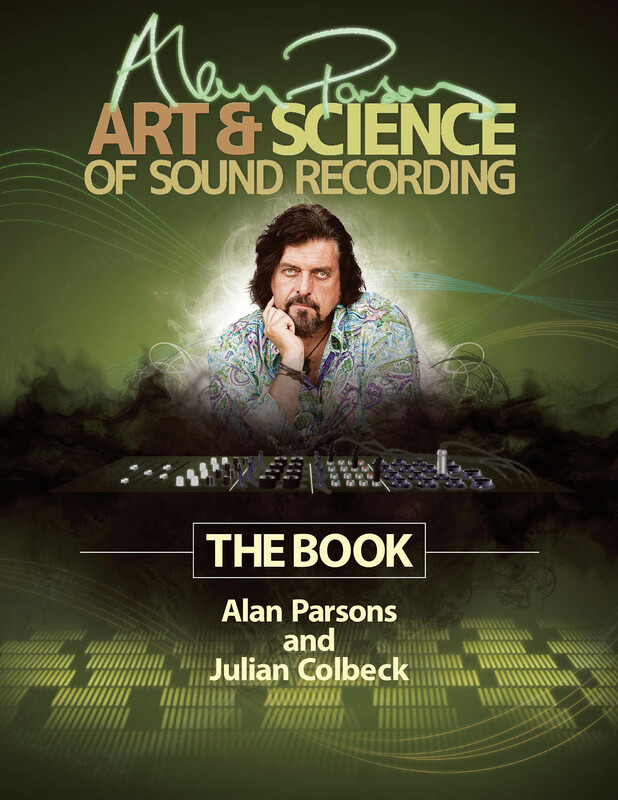 More than simply the book of the award-winning DVD set, Art & Science of Sound Recording, the Book takes legendary engineer, producer, and artist Alan Parsons’ approaches to sound recording to the next level. In book form, Parsons has the space to include more technical background information, more detailed diagrams, plus a complete set of course notes on each of the 24 topics, from “The Brief History of Recording” to the now-classic “Dealing with Disasters.” Get a taste for what Parsons is all about in the excerpt below! Is this hello for the very first time, or have you got the video series as well? If the former, we also produced a video series entitled Alan Parsons’ Art & Science of Sound Recording, and this book is both based upon and an extension of territory we covered in the videos. We hope you will find one to be a good companion to the other. Alan Parsons’ Art & Science of Sound Recording—The Book is a complete rewrite and reappraisal of the original video version. Because it is a book and not an audio-visual experience, we’ve been able to examine all of the topics in greater detail. With the videos we strove to keep you visually and aurally entertained. Now, you can be reading this at home, or in a busy Starbucks, or on a plane . . . you can read one page at a sitting, or one chapter, or just dive in here and there using the index or the glossary. Ingest the words, look at the pictures and diagrams, and if something is not clear first time around, well, read it again. It’ll make sense eventually; promise. A question that often cropped up on the video series was, “How do I use the videos? What order should I view them in?” Sensing potential for the same line of enquiry here, here’s what we recommend you do. This book does have a logical flow of chapters. First we look at how sound is created and how it behaves, before moving onto the different sources, components, and equipment involved in making and reproducing sound recordings. With these pieces of the puzzle in play, we then look at all the processes involved in manipulating sound recordings, such as EQ, reverbs, delays, compression, and so on. Then we look at how the various types of sound sources respond to the various processes and how they are best applied for particular sonic needs. The rubber truly hits the road when human beings are tossed into the mix and we actually have to record real live musicians sitting there right in front of us. 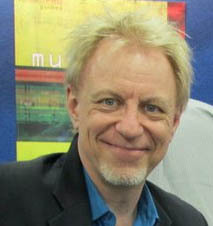 We look at drummers, guitarists, bass players, singers, choirs, keyboard players . . . all of whom can have very different mindsets, roles, temperaments, and functionalities. Finally, even though the word “mix” is now more of a formality than the “performance” process it used to be in the days of analog technology, the mix is still the point where decisions and choices have to be made. And that, in itself, is an art and a science. So if you can, read this book from here . . . right through to the end—at least once. Learning anything—especially something as nuanced as sound recording—is a journey, and that journey is half the fun. You can fly from Paris to Istanbul, or you could take in the delights of Lausanne, Milan, Venice, Belgrade, and Sofia along the way by traveling on the Orient Express—same destination, but a very different experience. As with the Orient Express, a top-to-toe read of this book will introduce you to topics you may not fully appreciate the first time around. But you can always come back to Venice and look at its sights and virtues. Although we will try not to dazzle you with clever-sounding words and concepts, important messages can be missed if you speed by too quickly. Finally, a great debt of gratitude is owed to the many engineers, producers, and artists we interviewed for the video series, whose words of wisdom are included here. Music is so often best when it’s a team sport, and although there are actually some incontrovertibly bad ideas (e.g., don’t try recording a kick drum with a ribbon mic), sound recording is definitely NOT a place for closed minds. Experimentation—within some context of tried and tested sound practices—should always be on the menu. You’re in good company. So enjoy your journey. Robert Archer at CEPro conducts an interview with producer/engineer/musician Alan Parsons, author of The Art and Science of Sound Recording DVD (Hal Leonard). Below is an excerpt of the interview to whet your appetite, but do click over to the full interview for the entire experience. Archer: Do you have any advice for those that would like to develop their professional listening skills to hear things more like audio professionals such as yourself? Parsons: The art of listening is the key to any kind of career in this business. My training at EMI/Abbey Road was thorough in how to listen. I learned how to discern minute differences in pieces of equipment, and it helped me to appreciate what I was hearing. As you become experienced on a pro level you become fussier about how things sound and how certain pieces of equipment behave. Archer: What do you think about the market evolution that has seen the CD format losing sales while the vinyl and digital download categories increasing their respective sales? 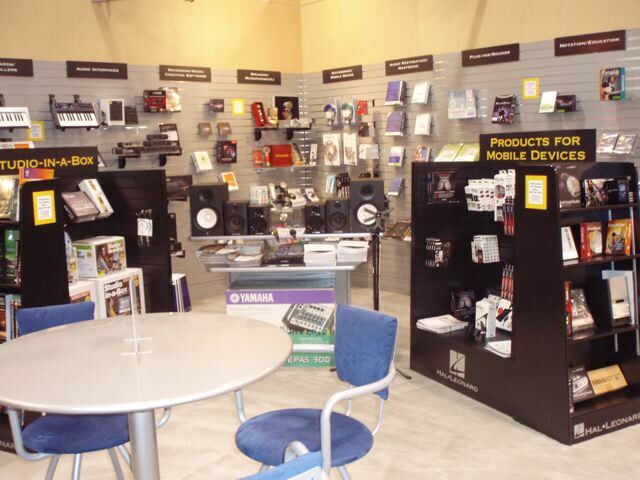 Parsons: I’m not sure vinyl is selling beyond audiophile purists, and I’m not really one of them. I’m reasonably happy with the quality of CDs, but I’d really like to see high-resolution downloads become more widely available. It is encouraging to see people listening to high-resolution audio. Eventually it’s going to be an all-download world…computers dominate our lives these days. We are just going to have to be tolerant of the longer download times. It’s just the way it is. Keep reading this interview on CEPro! Nearly three years in the making, Alan Parsons’ monumental ten-hour video series, The Art & Science of Sound Recording, is now available in a three-DVD boxed set! Narrated by actor and musician Billy Bob Thornton, the DVDs are divided into 24 sections, starting with a brief history of recording. Filmed in HD, this the most powerful instructional series ever created for music production.The Art & Science of Sound Recording looks at everything from soundproofing to mixing, and from recording guitar, bass, keyboards, drums and vocals, to recording a choir. Fellow professional engineers & producers join Alan Parsons in this top quality, practical, and cutting-edge guide, including Jack Joseph Puig, John Fields, Elliot Scheiner, Jack Douglas, Tony Brown and Chuck Ainlay. Artists and musicians interviewed include Michael McDonald, Taylor Hawkins, Nathan East, Rami Jaffe, Carol Kaye and Erykah Badu.. This invaluable instructional DVD set applies classic, old school recording experience to the modern recording scene, and is certain to be a standard work on the subject for years to come. Along with its fully interactive website, The Art & Science of Sound Recording is a complete course in modern recording. Available from Hal Leonard. 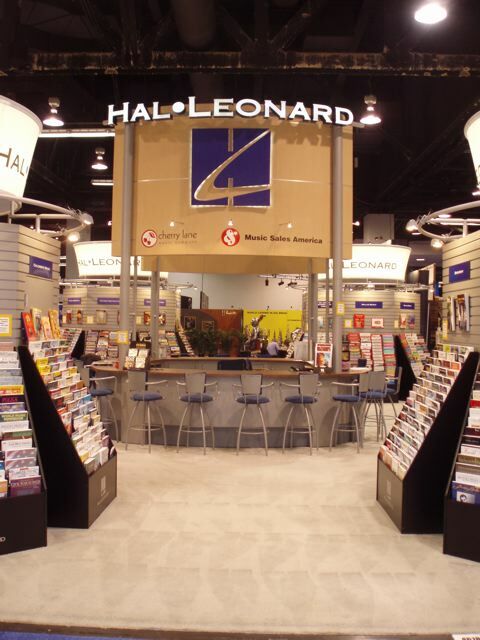 Stop by booth #364 to meet the authors! Books and DVDs will be on sale at the booth. 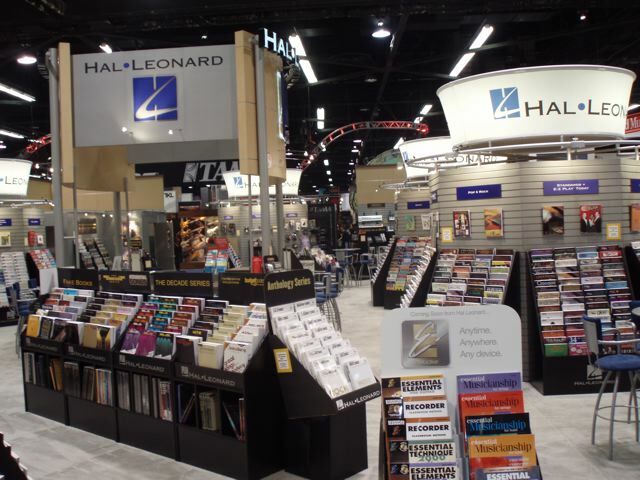 For more information, please visit halleonardbooks.com. MILWAUKEE – Recording engineer, producer, composer, and artist Alan Parsons will appear at the Hal Leonard booth (#364) at the Audio Engineering Society Convention at the Javits Center in New York. He will sign copies of his three-DVD boxed set Alan Parsons’ The Art & Science of Sound Recording on Friday, Oct. 21, at 2 p.m.
Parsons’s illustrious career acts as both backdrop and inspiration for this groundbreaking series. He worked with The Beatles on the albums Abbey Road and Let It Be, engineered Pink Floyd’s Dark Side of the Moon, and produced a string of multi-platinum hits for The Hollies, Pilot, Ambrosia, Al Stewart, and other artists, as well as for The Alan Parsons Project. Filmed in HD, this is the most powerful instructional series ever created for music production. The Art & Science of Sound Recording looks at everything from soundproofing to mixing, and from recording guitar, bass, keyboards, drums, and vocals to recording a choir. Fellow professional engineers and producers join Alan Parsons in this top-quality, practical, and cutting-edge guide, including Jack Joseph Puig, John Fields, Elliot Scheiner, Jack Douglas, Tony Brown, and Chuck Ainlay. Artists and musicians interviewed include Michael McDonald, Taylor Hawkins, Nathan East, Rami Jaffe, Carol Kaye, and Erykah Badu. This invaluable instructional DVD set applies classic, old-school recording experience to the modern recording scene and is certain to be a standard work on the subject for years to come. Alongside its fully interactive website, http://www.artandscienceofsound.com, The Art & Science of Sound Recording is a complete course in modern recording. Publisher: KeyFax New Media Inc.
Nearly three years in the making, Alan Parsons’ monumental ten-hour video series, The Art & Science of Sound Recording, is now available in a three-DVD boxed set! Narrated by actor and musician Billy Bob Thornton, the DVDs are divided into 24 sections, starting with a brief history of recording. Watch exclusive video excerpts here.